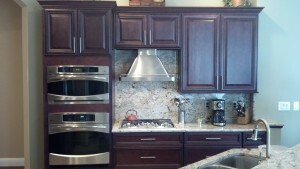 In Lutz, no company offers better kitchen remodel services at more reasonable prices than KitchenAlity. As a State of Florida licensed contractor, KitchenAlity has the credentials and expertise necessary to completely remodel any kitchen from floor to ceiling. However, what makes us different from any other kitchen remodeling company in the area is that we don’t believe in cookie-cutter, one-size-fits-all kitchens, but rather kitchens with personality. We’re fully dedicated to our craft, and we have a passion for helping homeowners throughout Lutz, Florida, and beyond transform their kitchens into their ideal spaces for cooking, dining, and spending countless moments with family and friends. To ensure that the kitchen we remodel for you is everything you want it to be, we’ll provide you with a 3D representation of what your finished new kitchen will look like. This kitchen design, of course, will be developed by a professional kitchen designer from our staff who will meet with you to gain a firm grasp of your specific budget, wants, and needs. After all, your kitchen is for you and your family, and it should reflect your unique sense of style. At KitchenAlity, we can create exactly the kitchen space you’ve been dreaming of. To find out more about how KitchenAlity will help you reimagine and remodel the kitchen in your Lutz, FL, home, please contact us today to schedule an in-home meeting with a member of our team.